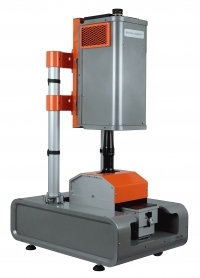 SisuCHEMA Breeze is a turnkey hyperspectral Chemical Imaging Analyzer for forensics, food, pharmaceutical and agricultural applications as well as other research and industrial applications that require qualitative and quantitative results of the imaged samples. A completely integrated Chemical Imaging Workstation for applications in laboratory and near production lines. SisuCHEMA is straightforward to configure, simple to use, and has the fastest data capture rate of any chemical imaging solution on the market. SisuCHEMA analyzer can be applied to a broad number of applications. For instance, inspecting authenticity of documents, investigation of crime scene evidence, composition of chemical substances, detection of contaminants, measuring protein content in grain and quality inspection of food supplies. All these can be quickly screened and analyzed on large sample sets.